The BLVD Hotel in Costa Mesa, Calif. is the latest hotel to join the Ascend Hotel Collection by Choice Hotels International, Inc. (NYSE: CHH). 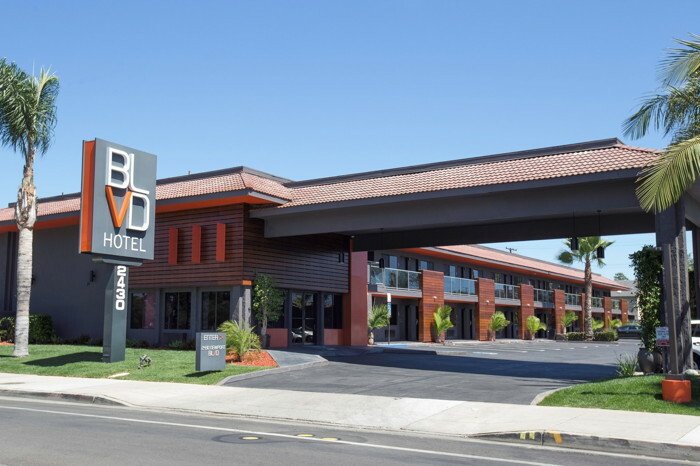 The BLVD Hotel in Costa Mesa, Calif. is the latest hotel to join the Ascend Hotel Collection by Choice Hotels International, Inc. (NYSE: CHH). There are more than 200 Ascend Hotel Collection member hotels worldwide. The BLVD Hotel is near Disneyland, Newport Beach and the Anaheim Convention Center. The hotel's chic-style and modern simplicity complements its location and offers guests a warm Southern California experience. The 58-room boutique hotel features a surfer-inspired design that's both sleek and contemporary. The BLVD Hotel offers personalized customer service and amenities, such as complimentary welcome drinks during happy hour, an outdoor pool and complimentary hot breakfast.